Searching for an active adult living community on the Grand Strand? Look no further than Seasons at Prince Creek West. This community is situated in the charming coastal village of Murrells Inlet, South Carolina. Truly a one of a kind community on the Grand Strand! The Grand Clubhouse and Sports Complex is definitely the centerpiece and a significant draw of this community. Seasons at Prince Creek West features indoor and outdoor pools, state-of-the-art exercise center with a sauna, tennis courts, bocce ball, billiard room, and game room. 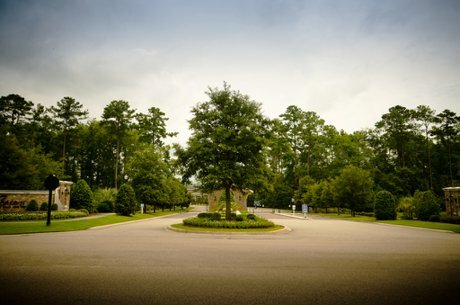 Walking, biking, and fitness trails are within the community as well. Aside from the clubhouse and sports complex, Seasons at Prince Creek West provides all types of entertainment. Residents enjoy a ball room complete with live music, dances, and celebrations. There is an art studio complete with a pottery kiln, as well as technology workshops and seminars held right in the community for those who want to learn and keep up with current trends in technology. Situated just ten minutes from Myrtle Beach, Murrells Inlet is a historic fishing town that offers deep sea fishing expeditions, charter fishing boats, jet ski rentals, and para-sailing. Huntington Beach State Park has some of the most beautiful and picturesque beachfront within the state of South Carolina. Golf is also close by with several of the top courses in the Grand Strand being located in Murrells Inlet. Tidelands Waccamaw Community Hospital is also located in Murrells Inlet. This hospital provides 24/7 emergency services, obstetrics, inpatient and outpatient surgery. Additionally there is a Critical Care Unit boasting the latest in technology with convenience and comfort. Seasons at Price Creek homes provide a wide selection of models and floorplans to suit your lifestyle and needs. Homes range in size from about 1600 square feet up to 2500 square feet. For additional information about buying or selling a home in Seasons at Prince Creek West please contact Beach Realty Group at 843-424-6900 to speak with a Murrells Inlet Real Estate expert.